Is Using a CDN (Content Delivery Network) Good For SEO? Is using a Content Delivery Network good (or bad) for SEO? Read our guide to find out. In this guide we are going to cover: the basics of CDNs & how CDNs improve load-time, the potential SEO benefits, and disadvantages of using a CDN, SEO canonical headers for CDNs; then give our conclusion and list what to consider. We have also included the top 20 CDNs by response time in the UK. You might also want to read our interview with CDNify, in which we touch on CDNs for SEO, as well as how to get project buy-in for a CDN from management. By setting up multiple CDN locations (via adding CNAME DNS records that point to your CDN), files can spread over multiple domains which can help avoid the normal stair-step pattern that you see due to the maximum amount of simultaneous parallel downloads via HTTP being reached. As well as lightening the load on your server, using a CDN means that users around the world will experience a faster load time and a better user-experience. Different CDN services will be faster or slower in certain regions. Some CDN services will for example have better coverage in certain areas. Some for example have more servers in Europe, Russia or China. So how does using a CDN impact on SEO? Website speed – A fast loading website is a ranking factor – this has been confirmed officially on multiple occasions and is accepted SEO best practice. User Experience – A fast website leads to a better user experience, which is something many SEOs suspect is measurable by Google using a variety of methods – such as monitoring bounce-backs to Google, time spent on a site, and other unconfirmed methods. Load Time for Googlebot – Google’s servers are for the most part in the US (in particular many in California). A CDN with locations in the US therefore should speed up your website load time for Googlebot. Bonus: Revenue – Using a CDN can lead to faster page loads and a better user experience, which can in turn lead to higher page views, sales and revenue. Configuration – CDNs require configuration to get working properly, and if you are in a large business most likely some co-operation from different people/departments. It isn’t majorly difficult and you shouldn’t necessarily be put off by this – but it is worth bearing in mind. In relation to SEO, it is possible to mis-configure a CDN for SEO, or for problems to occur. Downtime? – CDNs (like all servers, services and cloud platforms) can occasionally suffer from downtime. Enough to affect user experience or SEO? Very very unlikely. We are talking about 99.8% uptime for most services – even Google crashes once in a while. If anything, by lightening the load on your server, at times of peak demand you are actually likely to have less downtime if you have a CDN. If you visit your CDN subdomain, and as will generally be the case it shows an exact replica of your website – you need to display a either a canonical tag (pointing back to your main domain), or make use of canonical headers. Rel Canonical Headers have been supported by Google since 2011, allowing webmasters to point to the canonical/true location of a particular URL. The set up is different on each CDN, and some CDNs may not have this feature available. This feature is available at one our CDNs of choice MaxCDN. An alternative that some sites and CDN services suggest is to use Robots.txt to block the CDN subdomains – however we do NOT recommend doing this. Doing so will mean Googlebot will essentially not be able to see any resources on the blocked locations, meaning it will only be able to partially render your webpage. This is bad. By not being able to see images, CSS and .js files, Googlebot cannot correctly understand your website – nor will Google be able to fully index your resources as per your command – and you will likely see a drop in traffic. If you change your image URLs you may see a fluctuation in Google Images traffic for a little while afterwards. However it should return to normal fairly quickly, and traffic from Google Images is of relatively low worth in terms of sales/conversions for most businesses. In terms of general usage or SEO, you shouldn’t necessarily just go with the first CDN provider you find and instantly expect good results. Shop around, and make sure you find the CDN with the services for your requirements, as well as the best coverage and speed in the areas where your customers are. You can do this to a spectacularly fine degree using the Cedexis Radar tool here. The above image shows the top 20 CDNs by response time in United Kingdom according to Cedexis data (at time of writing 3rd, February 2015). We hope you have found our guide useful. If you have any questions for feel free to send us an email, or ask in the comments below. Search Candy provide SEO and content marketing services from our HQ in Manchester, UK. To find out more get in contact. 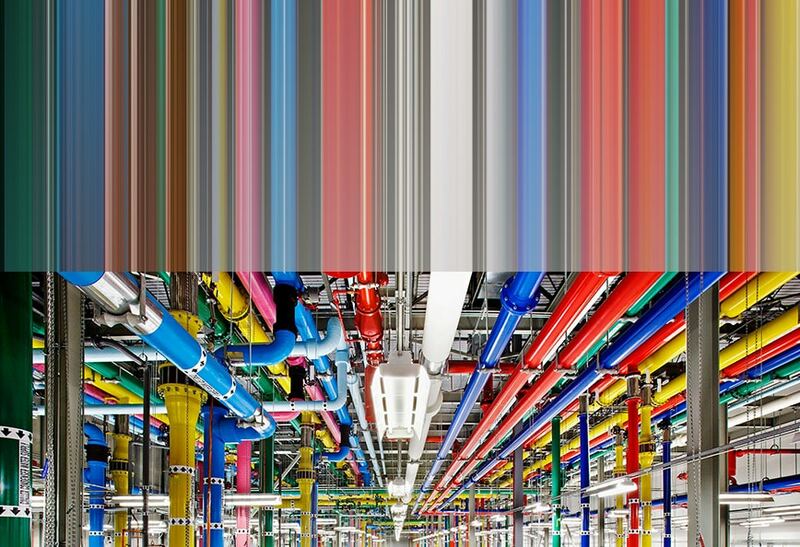 Main image adapted from an image of a Google datacentre.